The City of full memories. So long, we have never. To be meet with you again. Let’s go! Take it back again. These are the lyrics of halo-halo Bandung. The song is the theme song of the national struggle. Very fun to sing. Because it can increase the spirit of service to the memory of the heroes. They know no fear. For the sake of maintaining independence, they willingly sacrificed the soul, body, and soul. What kind of heroic events of the bandung sea of fire? Bandung as the sea of flame is an event of burning the city of Bandung by Indonesia's independence heroes. This is done in return for Allied soldiers in the army of the ultimatum of the Indonesian people to leave the city of Bandung. The fighters who realized that their armament was not able to beat the opponent, the strength of The people of Indonesia (TRI) did not willingly when allied forces have made the city of Bandung as a military centre. After discussion, it was decided to burn the city of Bandung. Previously, they made sure there were no fatalities. They had to evacuate their property million. Then, around 200. 000 inhabitants of Bandung burned their dwellings ranging from 7 hours and moving in unison to the South location. Bandung was decided as the provincial capital of West Java, after the independence. Since October 1945, there had been several extreme Islam groups in West Java with the main goal of establishing an Islamic state in Indonesia (Darul Islam). One of this movements was "Laskar Hitam" a militia group that kidnapped and killed Otto Iskandardinata, RI's Minister of State (1945). Other victims of similar groups: Poerdiredja, the regent of Priangan, Oekar Bratakoesoemah, the mayor of Bandung and Niti Soemantri, the leader of Indonesian national committee (KNI) in Priangan. Prior to the Dutch Politionele acties ("police action"), there was an ultimatum for the Indonesian combatants in Bandung to leave, given by the British military command, that temporarily (before the Dutch came back) tried to restore order. As for the answer, on March 24, 1946, the southern part of Bandung was deliberately burned down as they were leaving. This event is known as Bandung Lautan Api or "Bandung as the sea of flame". A heroic song "Halo-halo Bandung" was sung along by these hundreds of patriots. 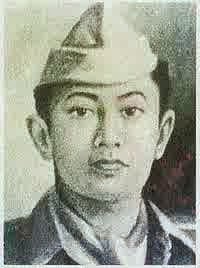 During the evacuation process of March 1946, a member of Indonesian militia Mohammad Toha smuggled several sticks of dynamite into a large scale ammunition dump guarded by Japanese and Dutch troops, near the Dutch military HQ in Dayeuh Kolot. After overpowering the guards, he put the dynamite in several warehouses full of ammunition. He then committed suicide by igniting the dynamite. The massive explosion killed him and several Dutch, Japanese troops in the area. The explosion created a small lake ("situ") in Dayeuh Kolot. The main street in the area is called "Mohammad Toha Street". 0 Response to "History Wars: History of Bandung as the sea of flame"